As follows is the list of our 3 lawn amenity seed mixes for large areas. AM5 is slow growing and needs less maintenance it does well on banks. AM6 is quick to establish and is hard wearing. AM10 is suitable for very large areas such as country parks. AM5 you can buy from 800 grams upwards. AM6 & AM10 the minimum amount we can supply is 10 kilos. For bulk orders over 60 kilos, please contact us for a special price. To calculate how much seed you need use the simple seed calculation table at the bottom of the page. 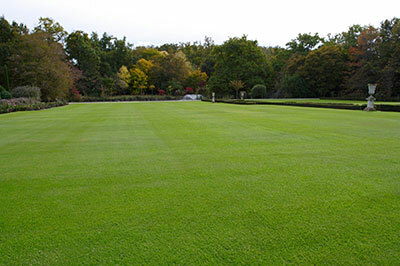 Produces a slower growing quality lawn. New Lawn 40 grams to the sq mtr. Mixture is one of our top sellers. The perennial ryegrasses make it quick to establish. The creeping red fescue makes it hard wearing. Makes a dense hard wearing surface. If you're unsure how much seed you need to buy, the Seed Quantity Calculator table will help you work out how much seed you need to cover a given area of ground. We have detailed seeding rates available, but if want a quick easy reckoner use the above approximations.